The Global Volcanism Program has no activity reports for Matutum. The Global Volcanism Program has no Weekly Reports available for Matutum. The Global Volcanism Program has no Bulletin Reports available for Matutum. The symmetrical Matutum stratovolcano rises to 2286 m in southern Mindanao, NW of Sarangani Bay. The summit of the andesitic-to-dacitic volcano is truncated by a well-preserved 320-m-wide crater that is breached by three gorges and has a 120-m-deep, densely forested floor. 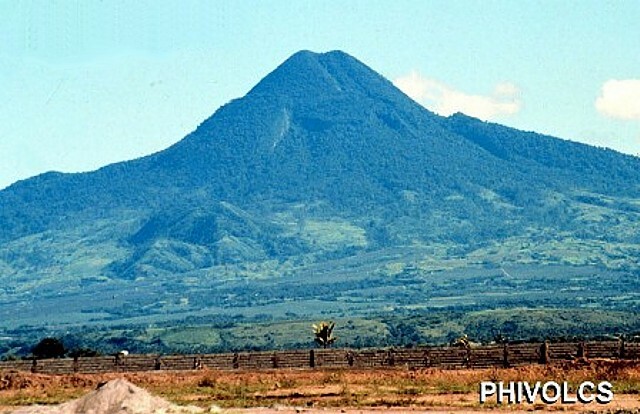 Widespread silicic pyroclastic-flow deposits surround the volcano, which overlooks the major city of General Santos. The youngest pyroclastic deposits were dated at about 2000 yrs BP. A report stated that Matutum volcano was "smoking" on March 7, 1911 (Neumann van Padang, 1953). The Akmoan and Lianan thermal areas are located on the WSW flank of the volcano. There is no Deformation History data available for Matutum. There is no Emissions History data available for Matutum. The symmetrical forested summit of Matutum stratovolcano rises to 2293 m above farmlands in southern Mindanao. A well-preserved 320-m-wide crater is breached by three gorges and has a 120-m-deep, densely forested floor. Widespread silicic pyroclastic-flow deposits surround the volcano. 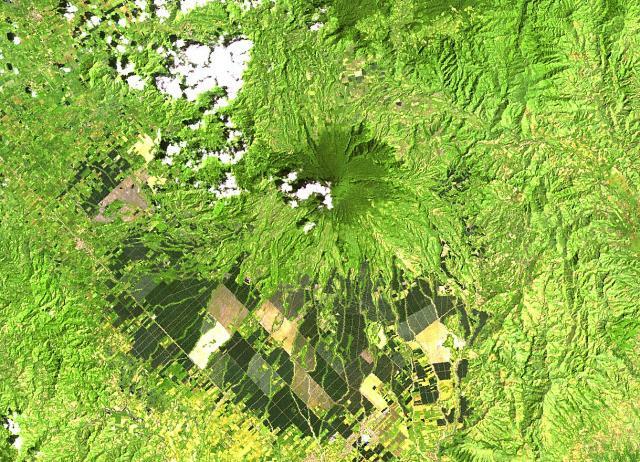 A report that stated that Matutum volcano was "smoking" on March 7, 1911 was the only indication of possible historical activity from the volcano. The forested, symmetrical Matutum stratovolcano rises to 2293 m in southern Mindanao. The summit of the andesitic volcano is truncated by a well-preserved 320-m-wide crater that is breached by three gorges and has a 120-m-deep, densely forested floor. Widespread silicic pyroclastic-flow deposits surround the volcano, which overlooks the major city of General Santos, about 30 km to the SSE. The volcano was reported to be "smoking" in 1911. There are no samples for Matutum in the Smithsonian's NMNH Department of Mineral Sciences Rock and Ore collection. Large Eruptions of Matutum Information about large Quaternary eruptions (VEI >= 4) is cataloged in the Large Magnitude Explosive Volcanic Eruptions (LaMEVE) database of the Volcano Global Risk Identification and Analysis Project (VOGRIPA).